Thank you so much for leading the St. Louis Chicks! We LOVE spending time with the Fontabella women and truly appreciate you for making it possible. 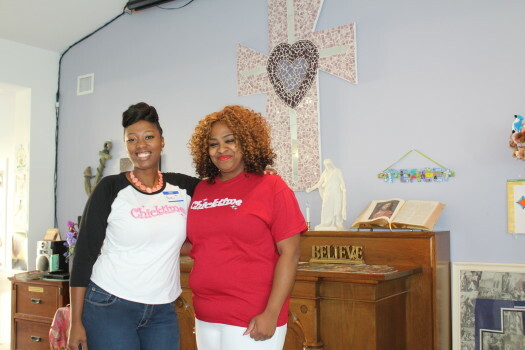 Without monthly leaders bringing their joy and passion to Chicktime St. Louis, we truly believe this program would not be the wonderful blessing it is to so many! – You will need to provide a 2 hour program. We recommend you invite a girlfriend to help you lead the Workshop. Workshops need to be based on the passions and talents of the leaders. For example, if you love to bake, prepare a workshop that will allow the girls to decorate cookies or cupcakes. *A listing of program ideas is attached and available on our website under Program Ideas. We recommend that you incorporate either a snack station or a food item that would complement one of the programs because the girls love to eat! -Once you decide what programs you will provide, call Laurie Shannon @ 618-971-8090 and discuss your ideas with her. At that time, she will let you know if your activities are appropriate for Fontabella. All materials you bring to Fonatbella must be approved so make sure you discuss those ahead of time. -There are 16 young mothers ages 18-22 at Fontabella. You must make preparations for all 16 to attend, providing enough materials for all to participate, but please understand that on any given Monday, we cannot guarantee how many girls will be able to attend. There will also be about 16 little ones to babysit if monthly workshop leaders want to bring a volunteer to help watch the little ones during the activity. -You are responsible to fund all materials for your programs. If you need fundraising advice and support, please contact Laurie Shannon. -No idea is too big or too small for Fontabella. Please see the list below for past programs and our past newsletters on the www.chicktime.com website for more detailed information on past programs. You may also view the Chicktime calendar on the website for upcoming programs. ime with the girls. You may bring additional volunteers to come and ‘play’ in addition to you program facilitators! Bringing your own volunteers to run the programs also opens the opportunity for new volunteers to experience Chicktime! -Chicktime St. Louis will create an invitation for your event. It is important that you organize your programs as early as possible so that we get the invitation out to the general public. Ideally, we would like that information 2 months prior to your event. We will be in contact with you to get the specifics needed to create the invitation. -Chicktime St. Louis will send out the invitation for you using our database to our regular volunteers. You are encouraged to send the invitation out to your circle of friends and family as well as print them off and distribute to your community if you desire. 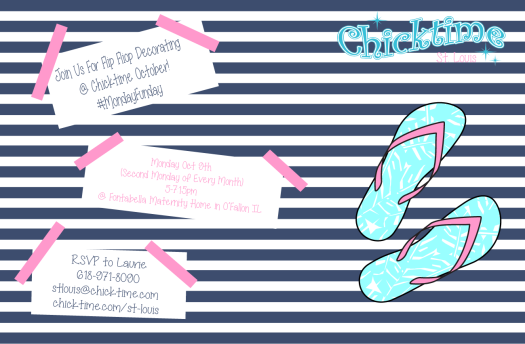 On that note, please encourage your friends to fill out our web form and sign up to join Chicktime St. Louis. Simply click the subscribe button at the bottom of every page to open the web form. Make sure to select MO- St. Louis from the drop down menu. You are welcome to send a link the web form to your friends, post it on your Facebook page, and even include it as part of your email signature! -We typically wear jeans, capris/long shorts and Chicktime t-shirts. 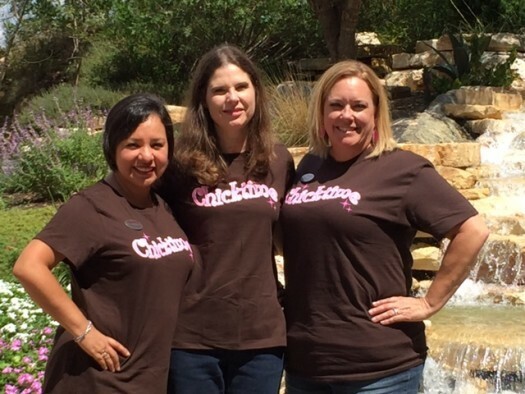 We will have Chicktime shirts available prior to each Chicktime. 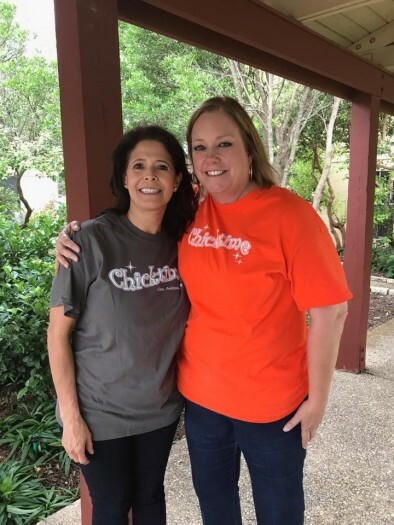 T-shirts are available with $20 donation… we encourage you all to get one because it helps spread the word about Chicktime! 160% of the money goes to the Call for Help girls! This is how we raise money for special projects for the girls. 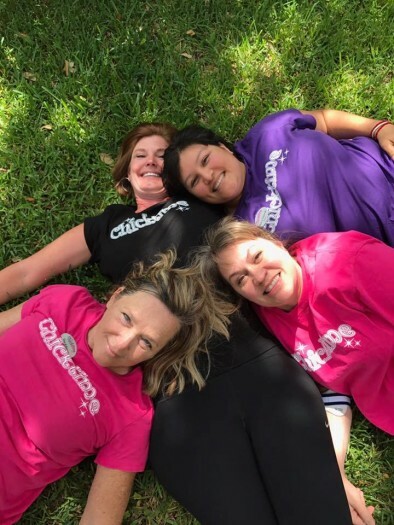 If you are not planning to wear a Chicktime t-shirt, Call for Help asks that the volunteers wear modest tops that show no cleavage, and shirts that stay tucked in or do not ride up past the waistline of their pants. When volunteers do wear shorts they need to be long, to the knee if possible. – Please email stlouis@chicktime.com for the Fontabella address. -We are asked to respect the privacy of the girls and not ask for last names (or give our last names). We are to be on a first name basis with the women. -We are also asked to leave large key chains, purses, pens, and other sharp objects in our cars or locked in the office while we are in the facility. -Cameras are allowed with special permission, NO pictures of the Call for Help girl’s faces are allowed to be taken at ANY TIME!! !